Shannen Brown is in her fourth year as Assumption’s Athletic Trainer. Shannen is a full-time Certified Athletic Trainer provided by Baptist Health, and she assists all sports programs and student athletes with any athletic training needs. Megan Rose is in her fourteenth year as a member of the Social Studies Department. 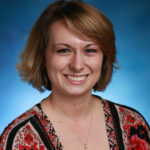 She currently teaches Advanced Placement (AP) Psychology, Advanced Psychology, and Advanced U.S. History. Additionally, she volunteers as club moderator for Rho Kappa National Honor Society and traveled abroad to France, Spain and Germany with AHS students. 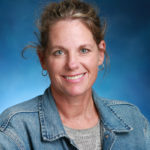 Debbie Judd is in her twenty-second year at Assumption and is the Science Department Chair. She currently teaches Biology I and Biology II. 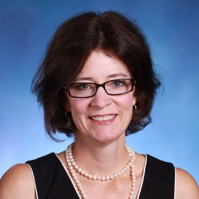 Additionally, Debbie Judd is a member of Assumption’s Academic Council. She serves Assumption in many ways, leading Eco trips to Costa Rica, Peru and the Galapagos Islands and leading student mission trips to Belize and Crossroads Ministry. Debbie recently retired as Head Field Hockey Coach. She coached for twenty eight years with 10 State Championships and 568 Wins. 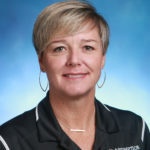 She has been recognized as a Karen Russ Excellence in Teaching recipient and recognized as Coach of the Year on numerous occasions by KFHCA, NFHCA, NFHS and KHSAA. Outside of Assumption she volunteers as a Kentucky Water Watch local leader and volunteer biologist for Future Fund. Jean Schubert is in her seventeenth year as a member of Assumption’s World Languages Department. She currently teaches Spanish I and Spanish II and serves as the club moderator for Spanish Honor Society. 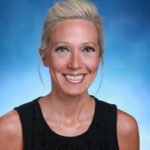 Additionally, Mrs. Schubert is a member of the National Honor Society Council and is a Faculty Model of Mercy recipient. 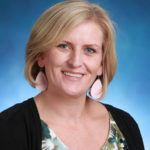 Gina Beirne is in her fifteenth year at Assumption and currently teaches Digital Photography I & II, Graphic Design I & II, Introduction to Sculpture & Ceramics. Mrs. Beirne also volunteers as Photography Club Moderator. Jennifer Sweeney is in her fifth year as a staff member at Assumption High School. 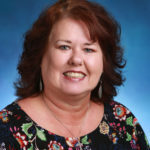 Mrs. Sweeney is a member of the Main Office team and serves as Administrative Assistant to the President and Principal. Leah Wolford is in her second year as a member of Assumption’s Science Department. She currently teaches Advanced Placement (AP) Biology II, Advanced Biology I and Honors Chemistry. Furthermore, she serves as club moderator for Science National Honor Society and is on Assumption’s Institutional Review Board. Lisa Pinkston is in her first year as Assumption’s Study Hall Proctor. She also serves the AHS community as Head Softball Coach and is in her fourth year of coaching. Outside of Assumption, Lisa is Vice President of Fusion Elite and Owner of Softball Preps. Martha Tedesco is in her twenty-fifth year at Assumption High School, excluding her years as an AHS student. 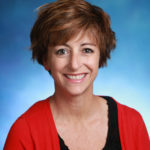 As Principal, Mrs. Tedesco handles all the day to day activities at Assumption High School, ensuring our students are focused on learning and teachers on teaching. She has been recognized as an Assumption Model of Mercy and a 2015 Business First 20 People to Know in Education. Furthermore, Mrs. Tedesco has been instrumental to the implementation of Professional Learning Communities at Assumption High School. Rachel Brand is in her fifth year as a substitute teacher for Assumption. 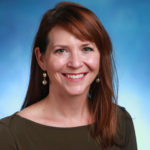 Sarah Johnstone is in her eighth year as an Assumption faculty member. Mrs. Johnstone teaches Catholic Moral Teaching and Catholic Social Teaching and also volunteers as Film Studies Club Moderator. 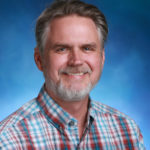 Scott Spinetto is in his sixth year as a member of the Mathematics Department and currently teaches Pre-Calculus, Algebra II and Geometry. Mr. Spinetto is a Future Business Leaders of America (FBLA) moderator and led two missions trips to Nicaragua and Auxier, Kentucky. 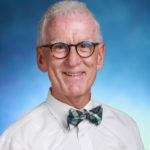 Outside of Assumption, he is a member of the National Council of Teachers of Mathematics (NCTM), the Greater Louisville Council of Teachers of Mathematics (GLCTM) and the National Business Educators Association (NBEA). Elizabeth Sotelo is in her second year at Assumption and teaches Biology I and Chemistry I. Mrs. Sotelo also serves as the Culinary Club Moderator. Beth Shoemaker has been a member of the Assumption faculty for sixteen years. 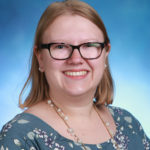 She currently teaches Advanced Placement (AP) Statistics, Honors 1 Statistics and Advanced PreCalculus and is a club moderator for Mu Alpha Theta. Furthermore, she is a Board Member of Greater Louisville Council of Teachers of Mathematics (GLCTM). Stephanie Shelton has been a member of the Assumption community for eight years. She currently teaches Advanced Placement (AP) US History, Honors 1 U.S. History and Honors Government. Additionally, she volunteers as Junior Class Beta Club Moderator and mission trip leader. Julia Scudder is in her first year as Retreat Director for Assumption High School. 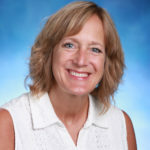 Kathy Schum is in her twenty-second year at Assumption and currently teaches English II, English III and Healthy Family Living. Mrs. Schum also serves as the Book Club Moderator and is a Karen Russ Teacher of the Year Award recipient. Theresa Schuhmann has served Assumption for eighteen years and is currently our Dean of Studies for students with last names L-Z. 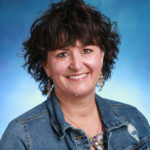 In addition to her role as a member of Assumption’s Leadership Team, Mrs. Schuhmann volunteers as a member of St. Albert the Great School Board. Melissa Schindler has been a member of the Athletics Department for seven years. She goes above and beyond her Assistant Athletic Director responsibilities by leading AHS mission trips, moderating FCA (Fellowship of Christian Athletics) and coaching/coordinating the Pink & White Game. Additionally Ms. Schindler is a CSAA Basketball Board Member and a staff Model of Mercy recipient. 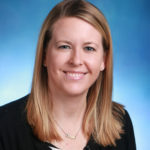 Amy Schelb is in her second year as a member of the Assumption community. She is fondly known as the “Face of Assumption” and is ready to provide a warm welcome to all guests. In 2018, she was honored with the Staff Model of Mercy Award. In her short time at Assumption, Mrs. Schelb has already participated in two Sophomore retreats and two community immersion trips with the Carlow Freshmen. 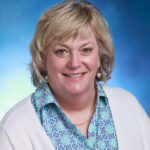 Jody Schaefer has been a member of the Assumption community for 28 years and currently teaches Honors English IV. 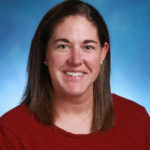 Additionally, Mrs. Schaefer serves as the Assistant Director for Student Activities, Varsity Field Hockey Head Coach and Varsity Club Moderator. Furthermore, she is a co-coordinator for the freshman mission week experience. 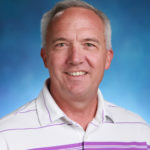 Mike Rouse is in his nineteenth year as a faculty member at Assumption High School. Mr. Rouse currently teaches Scripture and Catholic Beliefs and serves as a moderator for Quick Recall. 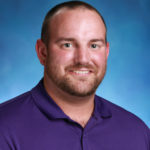 Nick Rogers has been an Assumption faculty member for five years and teaches Honors Algebra II, Honors 1 Algebra II, Honors 1 PreCalculus and Advanced PreCalculus. Additionally, he serves as Sophomore Class Moderator, Head Junior Varsity Basketball Coach and Assistant Varsity Basketball Coach. 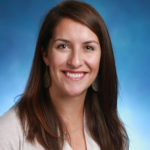 Meghan Rogers has been a member of Assumption’s Advancement Team for five years. 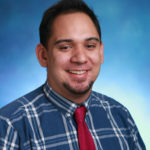 Jared Ramirez is in his second year as a World Languages faculty member, and he currently teaches Spanish I and Spanish II. He volunteers as the Spanish Club Moderator and assists with the Argentinian Mercy Ambassador Exchange Program. Furthermore, he lends his musical talents as needed during student events and prayer services. 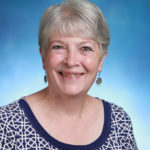 Mary Margaret Ralph has been a member of the Assumption community for forty-one years and currently teaches Sacramental Living and Mercy Spirituality in Assumption’s Theology Department. Ms. Ralph also serves as club moderator for Operation Smile, mission trip leader, faculty retreat leader, and Campus Ministry Council member. In her time at AHS, she has been recognized as a Faculty Model of Mercy. 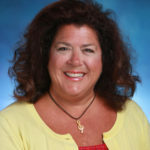 Lisa Raley is in her fifteenth year as a staff member of Assumption High School. She oversees all finance and facility related activities. Donna Pendleton is in her first year as a staff member at Assumption High School. Francesca Price is in her first year at Assumption. 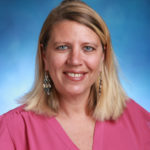 She is a member of the English department and currently teaches English I at the Academic and Honors levels. Additionally, she volunteers as the Assistant Coach for Speech and Debate Team. 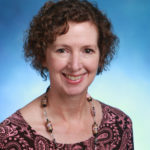 Stasia Polston has been a member of Assumption’s faculty for twenty-four years and currently teaches all Health courses. Ms. Polston serves our community in several ways through retreats, mission trips, study abroad trips, and intramural sports. She was Head Basketball Coach from 1990-1993. 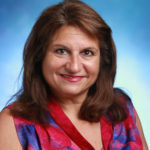 In 2008, she was recognized with the Karen Russ Excellence in Teaching Award. 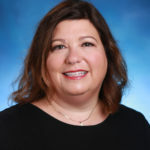 Paula Spugnardi is in her twenty-eighth year as a faculty member at Assumption. She currently serves as the Communication Department Chair and teaches Dual Credit Public Speaking and Advanced Placement (AP) Art History. 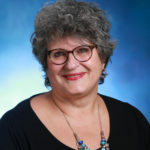 Mrs. Spugnardi is moderator for the Creative Writing Circle, has led several AHS mission trips, leads retreat every year, chaperoned four study abroad trips to Europe, and participated in BLOOM Theatre. Additionally she is an AP Reader for Art History and a Model of Mercy recipient. Outside of Assumption, Mrs. Spugnardi is Chair of the Elders at Douglass Blvd. 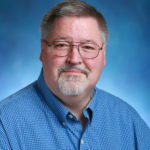 Christian Church and Communication Department Instructor at Bellarmine University. 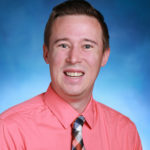 Andrew Stairs is in his second year as a member of the English Department. 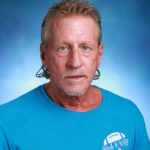 He teaches Honors English II and Honors I English IV. In his short time at Assumption he has become involved in several ways. Mr. Stairs serves as the Rose Theatre Company Assistant and as a mentor for student speakers at Open House. Additionally, he has participated in student trips to Washington D.C. and New York City for March for Our Lives and Rose Theatre Company, respectively. Kim Steinke has served Assumption’s Guidance Department for fifteen years. Additionally, she has participated in student mission trips for the past 8 years. 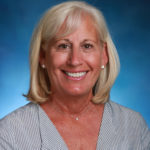 Dr. Carol Stellino-Smith is in her second year as a faculty member at Assumption High School. She teaches College Algebra at the Honors level and Geometry and Precalculus at the Honors 1 level. She also volunteers as the club moderator for Future Problem Solvers. 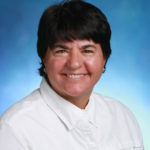 Angela Passafiume has served as Assumption’s Athletic Director for the past four years. Outside of Assumption, Mrs. Passafiume is a member of the KHSAA Track Advisory Committee and presented at the KHSADA Conference in 2017. She also leads numerous Assumption retreats. 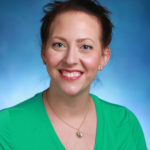 Colleen Murphy has been part of the Assumption faculty for seven years and currently teaches Advanced Placement Seminar and Advanced English I. She has been a huge asset to the implementation of the AP Capstone Program at Assumption. Mrs. Murphy also serves as Assumption’s Rose Theatre Company Audience Relations Coordinator. In 2008, she was recognized as a Catholic Education Foundation Teacher of the Year and received an English Speaking Union Scholarship in 2007 to to study poetry at Cambridge University Summer School. Mary Ann Steutermann has been a member of the Assumption community for twenty-three years. While she has taken on many roles at AHS, she is currently the Director of Campus Ministries and the author of Gospel Reflections. Additionally, she moderates the Global Outreach Club, Spectrum and Campus Ministry Council. 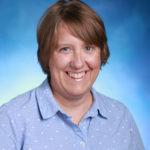 In her time at Assumption she has served on numerous committees, published countless article relating to Catholicism, and received the Model of Mercy award in 2003. 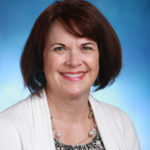 Outside of Assumption, Mrs. Steutermann is a Board Member and Education Committee Chairperson for DeSales High School. Katelyn Moore is in her third year at Assumption. In addition to her role as the Service Learning Director, she volunteers as the Junior Class Moderator and Mercy Ambassador Exchange Assistant Coordinator. Furthermore, she has lead study abroad trips to Australia and New Zealand and volunteers at St. Francis Center alongside AHS students. 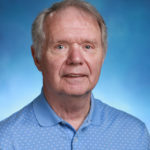 Mr. Monaghan has been with Assumption for eight years. He coordinates all substitute teachers and is available as a permanent substitute when needed. In previous roles, he he has served as golf team coach and mascot team moderator. Mr. Monaghan received Assumption’s Model of Mercy award in 2014. 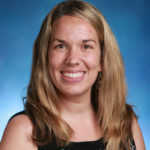 Sara Stovall is a member of the English Department and teaches English I and English III. She is a moderator for Chick-fil-A Leader Academy and has volunteered her time as a retreat leader and study abroad trip leader to Scandinavia. 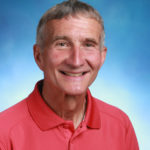 Steven Straub has been part of the Assumption community for nineteen years. 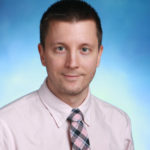 He currently teaches ACT Prep Courses offered as part of Assumption’s elective curriculum. He is most notably recognized as Director of Assumption’s Bell Choir. 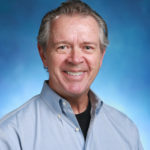 He was a Karen Russ Excellence in Teaching Award recipient in 2008. 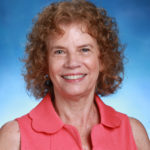 Joy Moeller has dedicated thirty years as a World Languages faculty member at Assumption High School. 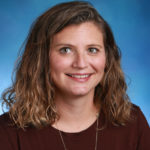 She currently teaches Advanced Placement (AP) Spanish IV, Dual Credit Spanish III, and Advanced Spanish I. Mrs. Moeller also serves as the Spanish Honor Society Moderator. 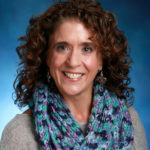 In 2014, Joy Moeller was honored with the Karen Russ Excellence in Teaching Award and is distinguished as an AP Reader for Spanish Language and Culture. 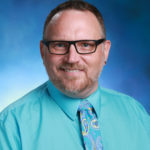 Doug Sumey is in his tenth year as a member of the Fine Arts Department and teaches Acting I, Acting II, Technical Theatre, and Advanced Theatre. Additionally, Mr. Sumey moderates Rose Theatre Company which produces our fall musical and spring play each year. He has received notable recognition in his time at Assumption including the Rose Award, NCEA Today’s Catholic Teacher Award for Innovations in Education for the BLOOM Theatre Project and a Tony Awards Nomination for Excellence in Theatre Education. Brent Miller is in his sixth year as a member of Assumption’s Information Technology Department. In addition to his role as Application Specialist, Brent volunteers as the Asian Culture Club Moderator. 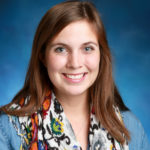 Allie Metzler is in her fourth year in Assumption’s Social Studies Department and teaches U.S. History. She also volunteers as the Junior Class Moderator. Jackie Metry is in her twenty-first year at Assumption High School and is the Fine Arts Department Chair. She currently teaches Beginning Chorus, Chamber Choir, Advanced Choir, Advanced Instrumental Ensemble, Guitar I & II. She is a club moderator for Tri M Music Honor Society and Jammin for Jesus. Additionally, she has served as a retreat leader and PLC Leadership training participant. Outside of Assumption, she is a KMEA Dist 12 Non Public Choral Representative. Tom Meagher has been with Assumption for eight years. While his primary role is Study Hall Proctor, Mr. Meagher also provides support and assistance for freshmen field trips during Mission Week. Sandy Maxted has served Assumption for twenty-six years. 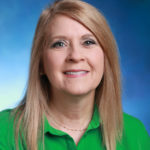 She currently teaches Dual Credit Personal Finance, Dual Credit Introduction to Business, Honors Personal Finance, Business Law, Entrepreneurship, and Child Development. Additionally, Mrs. Maxted is the Future Business Leaders of America Club Moderator. 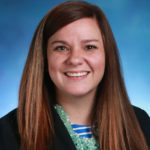 In 2010 and 2016 she was recognized by the Kentucky Jumpstart Coalition for Financial Literacy as Kentucky Teacher of the Year and received a National Teacher Spotlight from Jumpstart Coalition for Financial Literacy in 2017. Barb Lutmer has been a member of the Assumption community for twelve years. 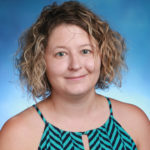 She currently teaches Dual Credit PreCalculus, Dual Credit Calculus and Advanced Placement (AP) Calculus as part of the Mathematics Department. Mrs. Lutmer also serves as a Mu Alpha Theta club moderator. 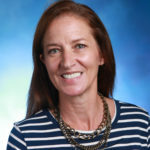 Beth Long is in her seventeenth year as a faculty member at Assumption and is also a member of our Student Activities Team. She currently teaches Advanced World Geography, Honors Psychology, Honors Holocaust & Other Modern Atrocities, and Women’s Issues in Sociology. Beth serves as the Student Ambassadors Moderator, the Politics & Citizenship Club Moderator, and has led a student mission trip to Washington D.C.
James Sutherland is in his eighteenth year at Assumption High School and is the World Languages Department Chair. He currently teaches Advanced Placement (AP) Spanish V, Dual Credit Spanish IV, Advanced Spanish IV, Advanced Spanish III, Honors 1 Spanish III. Mr. Sutherland serves as the Spanish Scrabble Club Moderator and is distinguished as an AP Reader. 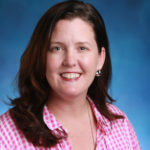 Mary Lipscomb is in her sixth year as a member of the World Languages Department and currently teaches Spanish II. Mary also serves as a Spanish Club Moderator and Faculty Retreat Leader. Russ Wallace is in his seventh year as a member of Assumption’s IT Department. 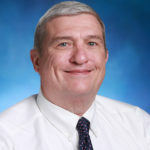 As Technology Specialist, Mr. Wallace provides technology support for faculty, staff and students in the Boeckmann Lab. Angela Lincoln is in her seventeenth year as a member of Assumption’s Theology Department. She currently serves as Theology Department Chair and teaches Catholic Social Teaching, Christology and Living Church. She serves on the Environmental Concerns Committee and Fair Trade Committee and volunteers as a club moderator for Operation Smile. Mrs. Lincoln coordinated a trip to Washington D.C. in 2018 for March for our Lives and has coordinated many rallies to instill a spirit of advocacy among our students. Mrs. Lincoln was honored as a Rose Award recipient in 2007 and a Sisters of Mercy Alumni Award recipient in 2011. Outside of Assumption she is a Board Member of PFLAG Louisville and Co-Founder of Students Demand Action Louisville. 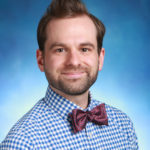 Matthew Lega is in his ninth year with Assumption’s Social Studies Department and teaches Advanced Placement (AP) World History, Advanced U.S. Government and Honors U.S. Government. Mr. Lega volunteers as a moderator for Homeroom Moms, Freshman Class Officer Moderator and assists with the Speech & Debate Program. Lauren Lega has managed Assumption’s Campus Store for eight years. She is the creative mind behind all Campus Store apparel and merchandise and assists AHS students when designing shirts for any occasion. Additionally, Mrs. Lega coordinates and schedules all athletic and enrichment summer camps. 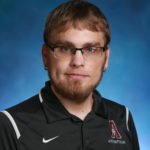 Alex Laudeman has been a member of the Assumption faculty for two years and currently teaches Humanities and Geography. Mr. Laudeman serves the AHS community as YClub Moderator and faculty retreat leader. Furthermore, Mr. Laudeman has earned an Eagle Scout classification, the highest rank within Boy Scouts of America. Terry Langley is in her twenty-first year as Media Center Assistant at Assumption High school. 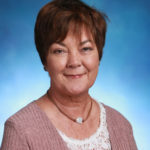 For the past 14 years, Mrs. Langley has served as moderator for the Senior Class Beta Club, co-moderator for Beta Club and led countless retreats and parent prayer services. As a 15-year member of the Substance Abuse Committee, she has sought outside speakers, helped create an award-winning prevention video, and helped present at Assumption’s annual prevention assemblies. 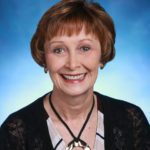 Mrs. Langley has been recognized as the 2006 recipient of Assumption’s Women of Mercy Award, the 2009 recipient of the TEA Award, co-recipient of the 2009 Outstanding School Library Web Site Award from the Kentucky School Media Association and the co-recipient of the 2013 Employer of the Year Down Syndrome of Louisville Award. 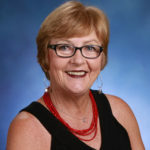 Mary Lang joined the Assumption community in 2014. As President, Mrs. Lang has been our visionary leader guiding Assumption into the future. In addition to her many responsibilities as President of Assumption, Mrs. Lang also participates in Rotary Louisville. Furthermore, she is always willing to interact with students and assist where needed. In previous years, Mrs. Lang has traveled with students to Washington D.C. for Mercy Youth Leadership and to Ireland for an international study abroad trip. 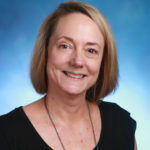 Terri Kurtz has been a member of the Assumption faculty for eleven years and currently teaches several courses in the Math and Computer Science Departments. 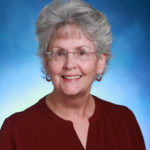 She teaches Algebra II, Advanced Business Calculus, Advanced Placement (AP) Computer Science Principles and AP Computer Science. She also volunteers as the Math League Moderator. 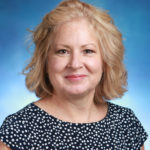 In Summer 2018, Mrs. Kurtz participated in the Research Experience for Teachers Program in Big Data and Data Science through the University of Louisville Speed School. 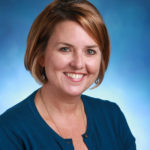 Furthermore, in 2019 she was a presenter at the Kentucky Society for Technology in Education Conference. Tricia Walker has been a member of the Learning Differences Program for five years. She assists our Learning Differences Coordinators to provide accommodations necessary for each student in the PSP program. 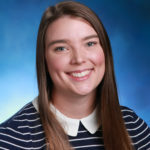 Kristin Walsh is in her second year as a Guidance Counselor at Assumption and she is the designated counselor for the Class of 2021. Mrs. Walsh also serves as a Chick-fil-A Leader Academy Moderator and Family Council Moderator. Meg Wicke has been a member of Assumption’s Fine Arts Department for thirteen years. She teaches Introduction to Ceramics and Sculpture, Ceramics I & II and Sculpture, in addition to moderating the Art Club. Outside of Assumption, Meg Wicke is a member of the National Art Education Association. 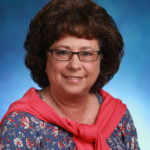 Joyce Koch has been a member of the Assumption community for twenty-seven years and is the Director of Information Technology. 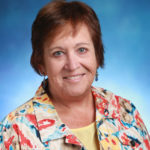 In her time at Assumption, she has been recognized as a Staff Model of Mercy and presented at The Kentucky Society for Technology in Education (KySTE) Conference in 2012. 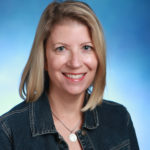 Outside of Assumption, Mrs. Koch is a member of the International Society of Technology Educators (ISTE) and KySTE. 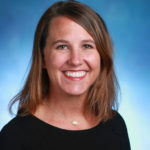 Kelly Kirwan has been an Assumption faculty member for twenty-two years and teaches Advanced Placement (AP) English Literature and Composition and AP Research. Additionally, Mrs. Kirwan directs the McAuley Scholars Program and advises all students distinguished as McAuley Scholars. 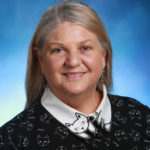 She is the National Honor Society Moderator and has received considerable recognition in her time at AHS including the Rose Award (2014), The Catholic Education Foundation Dan Ulmer Teacher Award (2014), a Kentucky Youth Assembly Honorary Colonel (2017) and AP Reader in English Literature and Composition. Gail King has been a member of Assumption’s community for sixteen years. 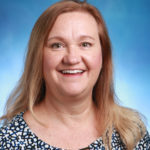 In addition to her Campus Ministry responsibilities, Mrs. King serves as the Moderator for the St. Joseph of Arimathea Society and is an active participant in Assumption’s Rose Theatre Company (RTC). Mrs. King has been an actress for RTC, chaperoned RTC’s New York trip, served on the BLOOM committee and sold tickets for RTC performances. Furthermore, she has led a retreat at every grade level and traveled with AHS students to Washington D.C. for March for Our Lives. In 2014, she was recognized as a TEA Award and Model of Mercy recipient. Stacy Johnson has been a member of the Assumption community for twenty years. She currently teaches Catholic Beliefs and Paschal Mystery and serves as the Senior Class Moderator. Furthermore Mrs. Johnson has led mission trips to Belize and McKee, Kentucky and traveled abroad with AHS students to England, Italy, Greece, Germany, Australia and New Zealand. 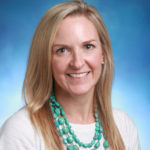 In 2017, she was recognized with the Karen Russ Excellence in Teaching Award and in 2018 she was designated a Mercy Associate. 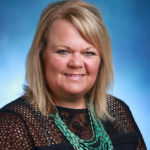 Lisa Wieland has been a member of the Assumption community for sixteen years and currently teaches Dual Credit English IV and Advanced Placement (AP) English Language and Composition. Dr. Wieland also coordinates the ARISE program which encompasses senior year mission trips. She is moderator of Respect Life Club and Alive in Mercy Club and has lead many travel abroad trips including Spain, France, Belgium, Switzerland and Italy. Dr. Wieland is distinguished as an AP English Language Exam Reading Table Leader and is a Karen Russ Excellence in Teaching Award recipient. Furthermore she is a Certified Journalism Educator. 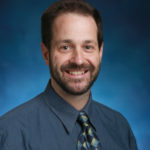 Outside of Assumption, Dr. Wieland is a Formation Committee Chair at St. Francis of Assisi and Mercy Associate. 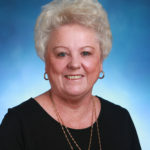 Joan Johnson has been part of the Assumption staff for fourteen years. In addition to her role as Manager of Special Events and Volunteers, she has led AHS students on seven mission trips, domestic and international. In 2017, she received Assumption’s Tea Award. 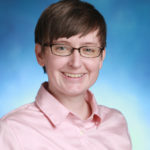 Jessica Williams is in her fourteenth year at Assumption and is the English Department Chair. 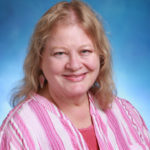 She currently teaches Advanced English III and Honors I English III. Mrs. Williams also serves as a member of the Environmental Concerns Committee and as moderator of the National English Honors Society. Becca Joaquin has been a member of the Assumption faculty for seventeen years. She currently teaches Advanced Placement (AP) Human Geography and Honors 1 World History. 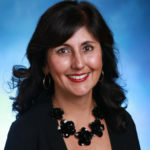 Mrs. Joaquin also serves as the Director of Student Activities. 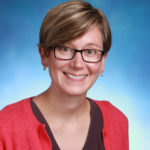 She volunteers as Family Council Moderator and has traveled abroad with student mission trips to Cambodia, Jamaica, Cincinnati and Washington D.C. She has received distinction as an AP Reader in World History and was honored as an American Geographical Society Teacher Fellow in 2016. Leigh Jackson is in her thirteenth year as a College Counselor at Assumption High School. She also serves as a club moderator for Rockets Helping Others. Outside of Assumption she is a board member of the National Catholic College Admission Association. In 2017, Mrs. Jackson was awarded the Kentucky Association of College Admission Counselling (KYACAC) Carolyn Quire Service Award. 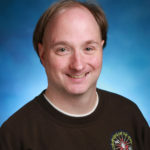 Ian Husk has been a staff member at Assumption for seventeen years and he currently serves as the Assistant Director of Information Technology. Christy Hulsewede is in her first year as a staff member at Assumption. She has already served our community beyond her position as a freshman retreat leader and field trip leader for freshman mission week. 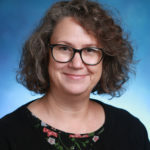 Laurel Grandinetti has been a faculty member in the Fine Arts Department for five years and currently teaches Intro to Drawing & Painting , Drawing I & II, Painting I & II, Advanced Placement (AP) Drawing, AP 2D Design, and Graphic Design. Furthermore, she is an ACE Club Moderator and has volunteered as a mission trip leader and retreat leader each year. Erica Lasley is in her thirteenth year as Assumption’s Library Media Specialist. Mrs. Lasley also serves as the Library Advisory Council Moderator and Junior Class Beta Club Moderator. She participates in the Mission Week Planning Committee, Assumption’s Academic Council and retreat and parent prayer services. 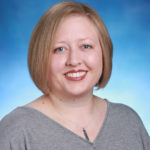 Outside of Assumption, she is a member of the Jefferson County Association of School Librarians, the Kentucky Association of School Librarians and the American Library Association. She also volunteers on several committees at her local parish. 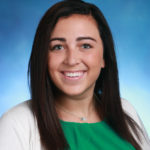 After a brief hiatus from her graduation in May 2010, Maggie returned to Assumption in July 2018. In addition to Marketing, she is the Assistant Freshman Lacrosse Coach, a Retreat Leader, and is commonly seen around campus with her camera in hand. Kelly Hovekamp is in her fourteenth year as a member of Assumption’s faculty and currently teaches Geometry and 3D Print and Design. Additionally, she serves as the Technology Integration Specialist and is the STEAM Club Moderator. In her time at AHS, Mrs. Hovekamp has received recognition as the Faculty Model of Mercy and a Microsoft Innovative Educator. Beth Hicks is in her thirty-eighth year at Assumption High School. She is the counselor for the Class of 2019. Beth is a Nationally Board Certified Counselor. Renae Hardy is in her seventh year at Assumption and teaches Chemistry. She is the Coach for the Science Olympiad Academic Team, Varsity Club Co-Moderator, and Prevention Assembly Committee Member. Renae was selected to speak at Junior Ring Ceremony for the Class of 2016. She has been a chaperone for the Coast Rica Ecoteach trips and Faculty Retreat leader. She is a Member of Catheadz rescue and foster group and a member of the Education Committee for the Louisville Waterfront Gardens. 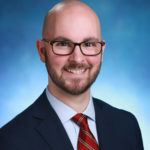 Daniel Hamm is in his twenty-second year at Assumption teaching in both the Social Studies and Communications Departments. 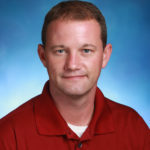 Daniel teaches Dual Credit World History, World History, Geography, and Public Speaking. He is the Y-Club and KYA/KUNA moderator and has been the Speech & Debate Coach for over 20 years. Daniel was inducted into the Kentucky High School Speech League Hall of Fame. 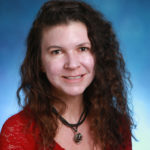 Tiffany Hall is in her seventh year in the Mathematics Department at Assumption. She teaches Algebra and Geometry and is the co-moderator of Varsity Club. Tiffany is the only faculty member to have received the Model of Mercy Award while a student at AHS (2002). While at Assumption, she has chaperoned multiple Speech & Debate trips and KYA/KUNA events. Kimberly Habich is in her third year as a College Counselor. 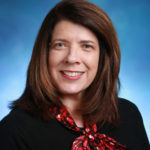 She is the National Honor Society co-advisor and has served on the Senior Honors Committee, Senior Events Planning Committee, Guidance Advisory Board, Mission Committee, and Advanced Program Committee. 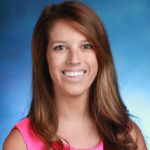 Kelsey Gunter is in her first year as Assumption’s Recruitment Coordinator and manages the student Recruitment Team. Additionally, Kelsey serves on the Advanced Program Committee and led the Limerick Freshmen Mission Week field trip. 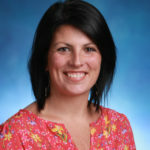 English teacher Erin Gary is in her nineteenth year at Assumption. 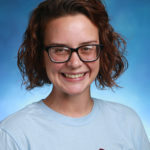 Erin is a homeroom mom (Limerick), Freshman Class Officer Moderator, has been a faculty retreat leader, Department Chair, Junior Class moderator, SFAB Moderator, Student Council moderator and has participated in Mission Week trips. 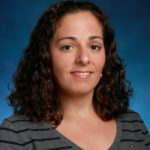 Jenny Friedenberg is in her first year as the Admissions Coordinator. She is also a choreographer for Rose Theatre Company, a Retreat Leader, a member of the BLOOM Theatre Project, and a staff leader for Rose Theatre Company’s trip to New York. Outside of Assumption, she serves on the Board at Shelby County Community Theatre. 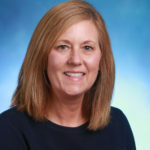 Registrar, Kathy Fleischer, is in her twenty-third year at Assumption. Kathy serves as a music minister and is an Archdiocesan Certified Cantor. Kathy received the Model of Mercy, Rose Award (2004), and TEAM Award. She traveled to NCEA in New Orleans and to New York City with the Rose Theatre Company. Kathy participated in the BLOOM Theatre Project, Dead Man Walking, Daily Grind, and Patterns We Create. Tammy Finch is in her twenty-seventh year in Assumption’s Finance Department. She is a Certified Professional as distinguished by the Society of Human Resource Management (SHRM). Dean of Studies Judy Fieldhouse is in her thirtieth year at Assumption. Judy is the Quick Recall Assistant Coach and basketball scorekeeper/clock keeper. While at Assumption, she has led multiple Mission trips. Judy was named the staff Model of Mercy in 2017 and was an AP Reader – Statistics (2002-2005). 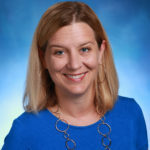 Michelle Farmer is in her sixth year as the Advancement Director for Assumption. 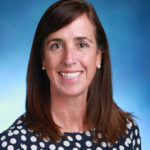 As an alumna, Mrs. Farmer values the Assumption experience and works alongside alumnae and donors to expand the Assumption community and limit financial barriers that may prevent any young woman from pursuing an Assumption education. 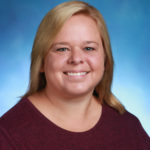 Christa Fackler is in her seventeenth year teaching in the Mathematics Department at Assumption. She teaches Algebra I and is the Math League Moderator. Judi Erskine is in her eighth year in the Learning Differences Department at Assumption. She is the Green Dot Program Co-Director, Learning Differences Association (LDA) Board Member and Learning and the Brain Member. 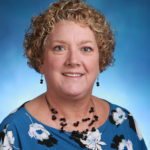 Judi was the 2018 Rose Award Recipient, Assumption Hall of Fame Inductee (2014) and Archdiocese of Louisville Summer Institute presenter: “Differentiation in the Classroom”. Judi has lead students in a Mission trip to Portland and the March for Life and is a Faculty Retreat Leader. 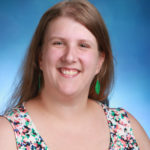 Christina Elpers is in her eighth year in the Mathematics Department at Assumption. She teaches Algebra and Geometry and is the STEAM Club Moderator. 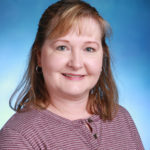 Jill Elder is in her thirteenth year as an educator in the Science Department and a Technology Integration Specialist. She teaches Chemistry, Forensic Science, and Robotics. Jill is the Family Council Moderator and Student Technology Leadership Program Moderator. She is a Certified Microsoft Innovative Educator and Professional Development instructor for the Archdiocese of Louisville Summer Institute. 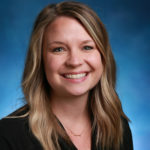 Angie Dusch is in her seventh year at Assumption and serves as the Assistant to the Deans of Studies and Dean of Students. 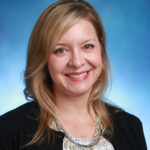 Currently in her twenty-first year, Dawn Deweese is the Guidance Program Director and counselor to the Class of 2022. She is the Diversity Club Moderator, Success Scholars Director, Mental Health Awareness Club Moderator, and Rocket Parent Network Moderator. 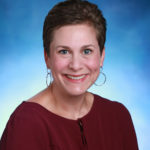 Dawn is the Louisville Eating Disorder Alliance (LEDA) Secretary, member of the Kentucky Counseling Association (KCA), and participated in the Archdiocesan Diversity Club. Dawn has been awarded the Model of Mercy, Rose Award, TEA Award and the Irene Casey Inclusion Award. Diane Darst is in her twenty-third year of teaching English and Theology at Assumption. She is teaching English, Film Studies, and Scripture. She is the moderator of the Global Outreach Club and Rose Window Literary Magazine. She is the recipient of the Model of Mercy and Karen Russ Excellence in Teaching Award. Katie is in her fourth year in the English and Communication departments. She teaches Advanced Placement (AP) Language and Composition, Journalism I: Intro to Media and Journalism II: Publications. Additionally she is the adviser to the publications staff including Rosecall, Countdown, RocketLaunch, and Rosecast. She is an ARISE trip moderator and Retreat Faculty Leader. 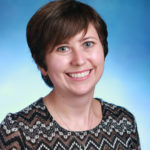 Laura Cronin is in her first year as the Director of Learning Differences. 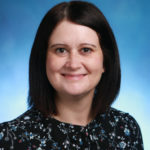 Laura is Member of the American Speech and Hearing Association and holds a certificate of clinical competence and is a Licensed Speech-Language Pathologist by the Kentucky Board of Speech-Language Pathology and Audiology. 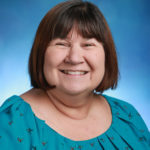 She is a Faculty Retreat Leader, participated in a Mission trip to Auxier and serves on the Kentucky Academic Council. 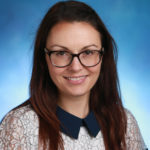 Laura has been published in the Cleft Lip Craniofacial Journal (2001): Analysis of Speech Characteristics in Children with Velocardiofacial Syndrome (VCFS) and Children with Phenotypic Overlap Without VCFS. 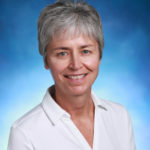 Currently in her twenty-ninth year at Assumption, Science Department Chair, Sally Craven currently teaches Advanced Placement (AP) Environmental Science and Chemistry. Sally is the Science National Honor Society Moderator, Green Thumb Garden Club Moderator and ACE Mentor Club Moderator. She is the Louisville Climate Action Network Vice President, Louisville Earth Walk organizing partner, and Clifton Universalist Unitarian Church Secretary to the Board. 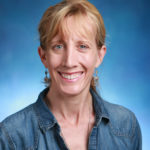 Sally has served as an AP Chemistry Reading table leader and was awarded the Karen Russ Excellence in Teaching Award (1999) and the Rose Award (2014). Sally has led to Mission trips to Nicaragua, Auxier Ridge and Washington, D.C. She has also traveled abroad with AHS students to Greece and Italy. Debra Corbett is in her twentieth year of teaching in the science department. She teaches Biology, Marine Biology, and Astronomy. Outside the classroom, Debra is the Costa Rica Sea Turtle Project Trip Moderator, Student Eco-Trip Moderator, Retreat faculty leader and Arise Mission Trip leader. 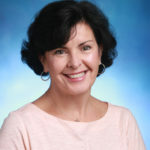 Pam Conway is Assumption’s Achievement Center Coordinator and is in her fourth year at Assumption. Pam coaches the JV Quick Recall team, serves as the Academic Team Coordinator, is a freshman homeroom teacher (Booterstown), was as Argentina exchange student host, and a Right to Life Chaperone to Washington, DC. In 2018, Pam was named the faculty Model of Mercy. 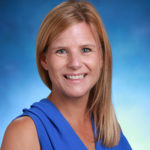 Director of Marketing and Admission, Elisabeth Cassady, is in her thirteenth year at Assumption. She also manages the Freshman Mission Week Activities, annual Pink & White Game and is a retreat leader. Elisabeth was awarded the Innovations in Education Award in Marketing. 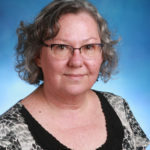 Teri Campisano has been a faculty member in the Mathematics department for twenty-three years and teaches Algebra I and Discrete Mathematics. She is the Intramurals Moderator at AHS and also serves as a member of the Greater Louisville Council of Teachers of Mathematics (GLCTM). Laura Burnam has been Assumption’s school nurse and attendance clerk for four years. She serves all students’ medical needs and coordinates absences and attendance. 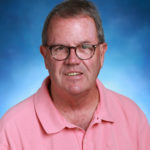 Bob Brown has been a member of Assumption’s Science Department for seventeen years. Mr. Brown teaches Forensic Science I and II and Anatomy and Physiology. 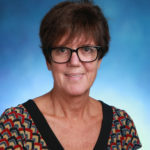 Irene Bozio has been a Theology teacher at Assumption for twenty years. 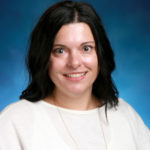 Ms. Bozio currently teaches Living Church, Mercy Spirituality, and Ecumenism. She is a Senior Beta Club Moderator. Ms Bozio has led Assumption students abroad to England, France, Belgium, Switzerland, Germany, Czechoslovakia, Italy, and Greece. Ms. Bozio had the unique experience of staying at Baggot Street Mercy House while in Ireland. Ms. Bozio is the recipient of the Model of Mercy Award. Annie Boehnlein has been a member of Assumption’s Academic Support Services for four years. 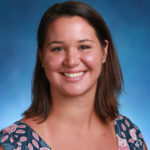 Mrs. Boehnlein is a sophomore class moderator and assistant volleyball coach for the Rockets. 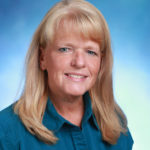 Jackie Bloyd has been a member of the Assumption Advancement Department for twenty-three years. Ms. Bloyd also assists with programs such as Reunion Weekend and Alumnae Class reunions. Abby Blandford has been the Manager of Annual Fund and Alumnae Relations for two years. 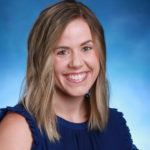 Within this role, Ms. Blandford is the Advancement Council Moderator, Alumnae Association Board Liaison and Assumption Class Ambassador Liaison. 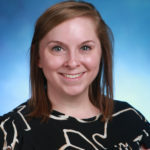 Ms. Bender is in her second year of teaching at Assumption. She currently teaches Spanish I and Spanish II. Ms. Bender is the moderator of the Speech and Debate team. She has presented seven prefectural professional development workshops for English language teachers in Japan from 2011-2014. 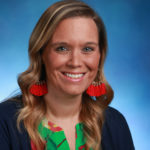 Mrs. Becker has taught at Assumption for eleven years and is the Assistant Department Chair in the Social Studies Department. She teaches World History, Geography, and Sociology. Mrs. Becker is the Chick-fil-A Leader Academy Moderator. She served as Assumption’s YMCA Adviser for seven years. 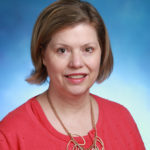 Mrs. Becker is a Chapter Advisory Board Member of Kappa Delta – Alpha Xi (UofL) Chapter. Mrs. Becker will be traveling to France with several students in the Summer of 2019. 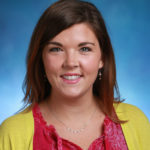 Abby Asfahl is a counselor in Assumption’s Guidance Department. She is the counselor for the Class of 2021. Mrs. Asfahl is the moderator of the Mary Byron Scholars and the Green Dot Program. Mrs. Asfahl is a member of the Kentucky Counseling Association (KCA) and is a certified Green Dot Instructor. 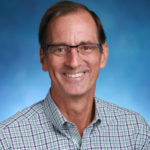 Lou Armstrong joined the Assumption faculty in 2018. Mr. Armstrong teaches AP Calculus BC and serves students in the Achievement Center. He is the moderator of the Science Olympiad. Janet Adkins is in her twenty-first year of teaching at Assumption. Mrs. Adkins teaches World History, Humanities, Advanced Humanities II. Mrs. Adkins is the moderator of the Global Outreach Club. She has also participated in Assumption Travel Abroad trips and is a faculty retreat leader. 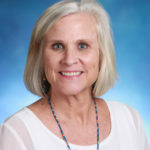 Mrs. Adkins was the 2010 recipient of the Karen Russ Excellence in Teaching Award.